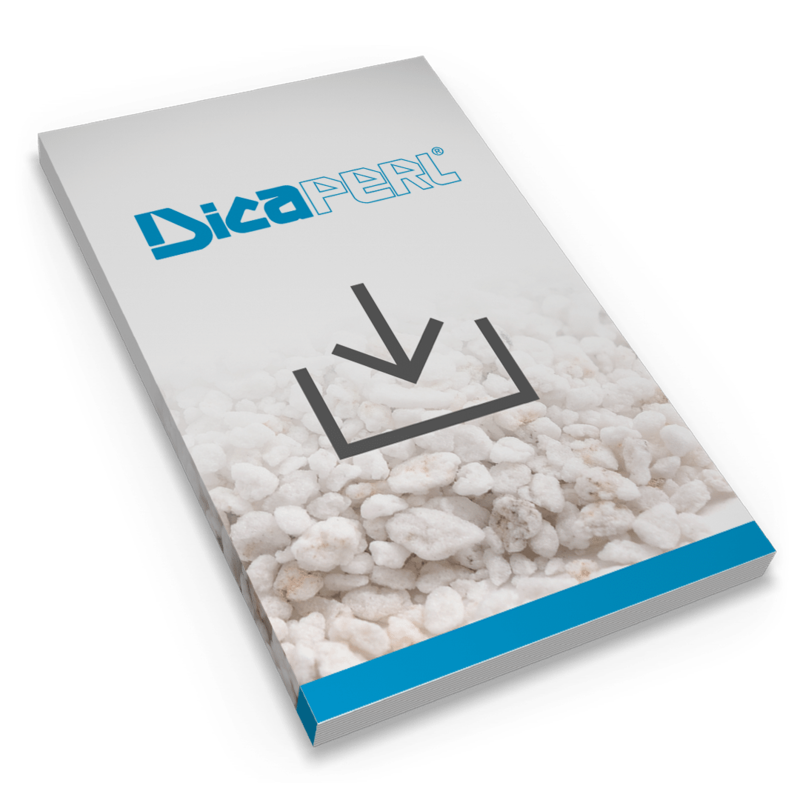 High quality perlite filter aids form a porous layer on the filter element (or septum) and trap the solids, preventing them from blinding. This type of filtration is mechanical—not chemical— and removes solid particles from a liquid filtrate. Irregularly shaped particles of perlite interlace and overlay in a fashion that leaves 85-95% voids or open spaces. These voids form billions of microscopically fine interstices between the filter aid particles. The size of these openings is so minute, the unwanted solids are strained from the liquid. The vast number of openings compensates for their small size resulting in fast flowrates and brilliant clarity. Perlite filter aids are lightweight, chemically inert, and form high porosity filter cakes to maintain free flow of the liquid. The structure of the particles must be such that they will not pack too closely. This not only permits high initial liquid flow but also provides pore spaces to trap and contain the filterable solids and leave a high percentage of channels remaining open for flow. Let us help you choose the right grade. Clarity is considered by many engineers to be the most important measure of efficiency in filter aid filtration. Selection of the particular type and grade of filter aid having the correct particle size and distribution is a major factor. After these, it’s necessary to consider the quantity of filter aid to be used, the flowrate needed to meet plant production schedules, equipment limitations, and general filtration conditions. How is your filtration method performing? We can test it for you. This is sometimes done to optimize an existing process even though it appears to be running well or to solve a particular filtration problem. Similar tests are often conducted for new installations to help in the design process and eventual plant start-up. Filtration tests can be done on a laboratory bench filter using pressure or vacuum types. This is a good way to determine the effect of the various operating parameters without the risk and cost of using the plant filter. Both provide scale-up data which correlates closely with results obtained in plant production. For pressure tests, the Dicalite Pressure Test Filter is used.